The return of the for EuroCup Coach of the Year to action means not only means exciting basketball, but also entertaining press conferences. The 7DAYS EuroCup just became more interesting. Andrea Trinchieri, the new coach of Partizan NIS Belgrade, is one of the best on the Old Continent. That statement takes into account his excellence on the sidelines and eloquence in front of a microphone. Trinchieri is well-known for the ways he expresses his thoughts in both an exciting and charming way. His one-liners have created fabulous headlines and his press conferences are anything but boring. Though this is well known to journalists, if you need proof, we have it here. 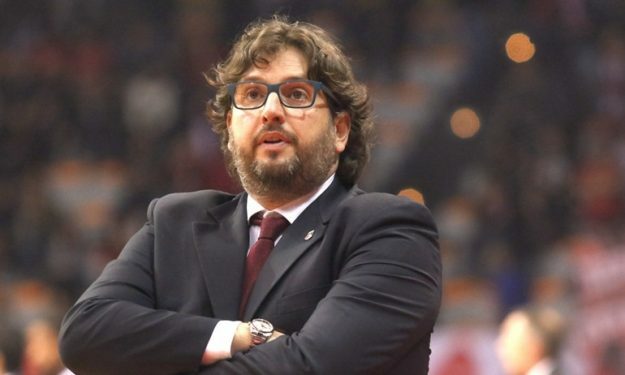 Here’s a sampling of Coach Trinchieri’s best quotes during his Turkish Airlines EuroLeague career.